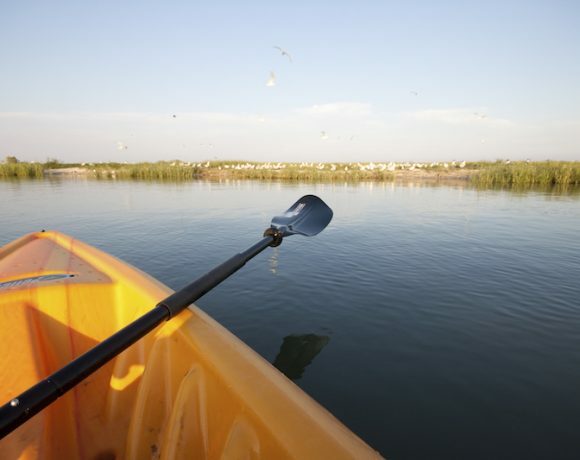 Kayak the beautiful Artist Boat Coastal Heritage Preserve. This destination occurs at the natural and restored marshes protecting one of the most pristine examples of a dune/swale complex on Galveston Island. Artist Boat has worked hard to acquire over 600 acres of the coastal prairies and wetlands on Settegast Road through million dollar grants and community donations. Join us to discover the wonders of the dune/swale complex and wetlands and to celebrate nature while envisioning our future home. The Coastal Heritage Preserve location includes a 0.3 mile easy walk through the Artist Boat Coastal Heritage Preserve to the launch site. This may make the destination unsuitable for bringing your own kayak as you would be responsible for carrying it to and from the launch site.